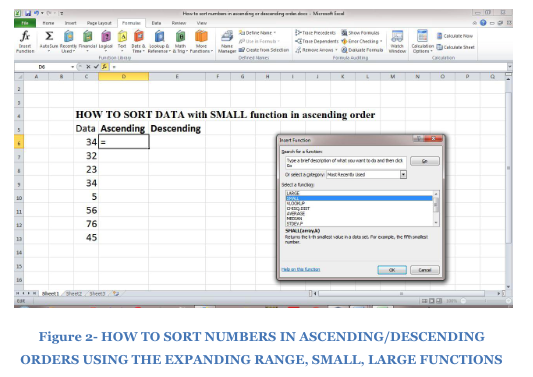 There are times when you need to sort your large data in an ascending or descending order. 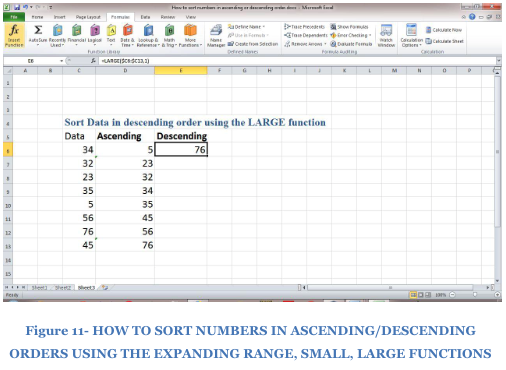 By sorting your data in ascending or descending order, you can quickly find information on your list. 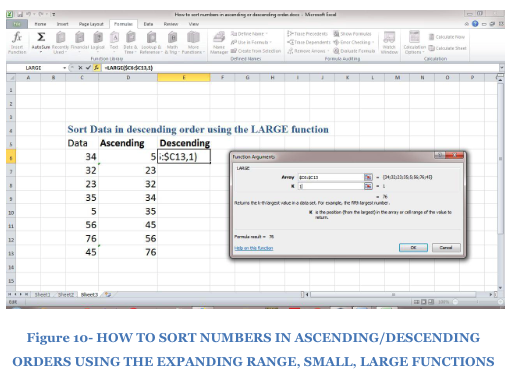 You can use the “expanding range” to get this function done effectively. 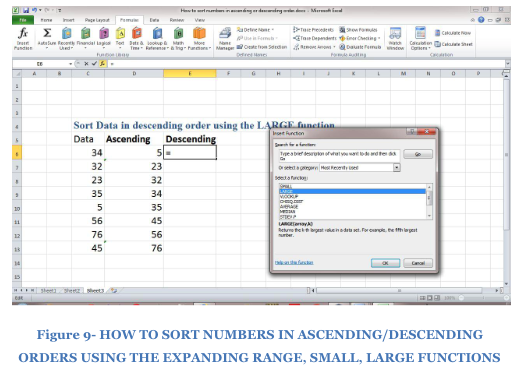 To sort data in Excel numerically, text in alphabetical order, sort range in ascending or descending order, the “SMALL”, “LARGE” with an “expanding range” function can be used. 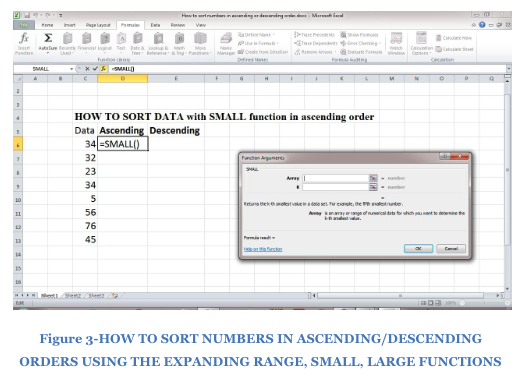 The “SMALL” Function with an “expanding range” is especially crucial for picking out the smallest value in your list of data. 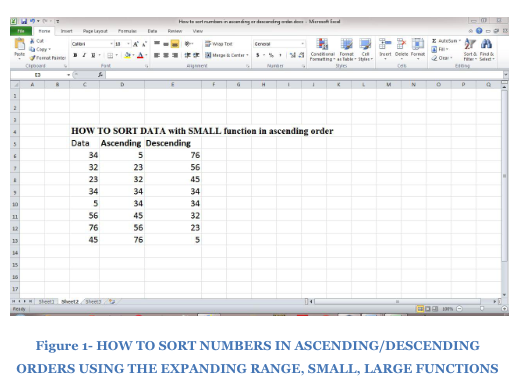 However, a simple sort can do this for you, but the expanding range is excellent because it accommodates any changes you make in your data any time in the future and automatically changes the order to suit this change. 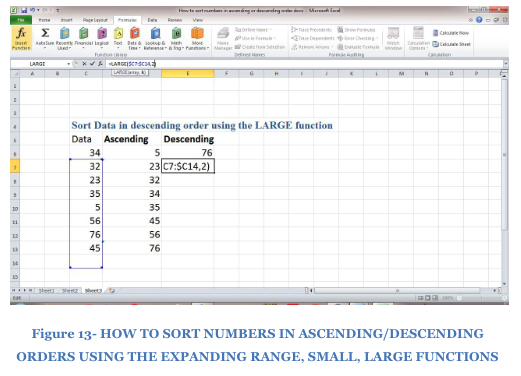 How did we arrive at the data shown for the ascending order using the SMALL Function based on the expanding range? 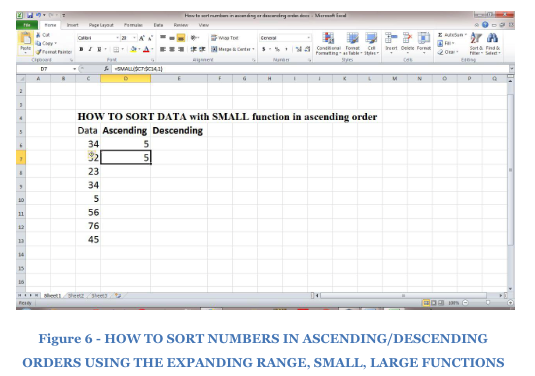 Enter your data into the Worksheet or spreadsheet. 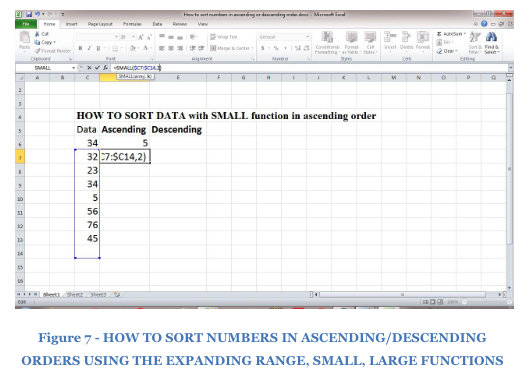 Now place your cursor at the adjacent cell, or like in the figure below on Cell D6. 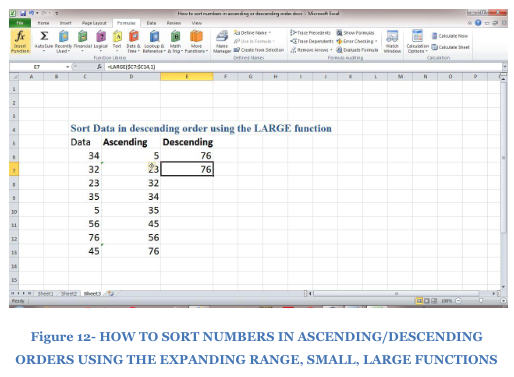 Click on fx as shown in figure 2 below. 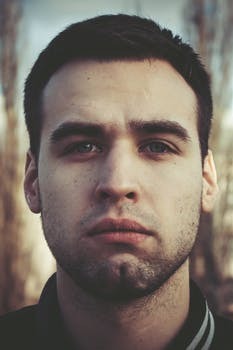 Your smallest figure is displayed as seen below. 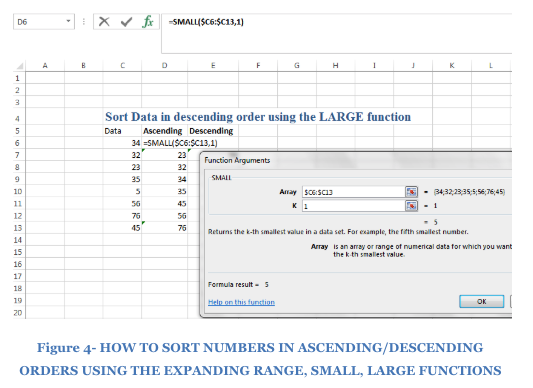 As you copy the SMALL function formula down the table, the table expands in terms of the incrementing value. 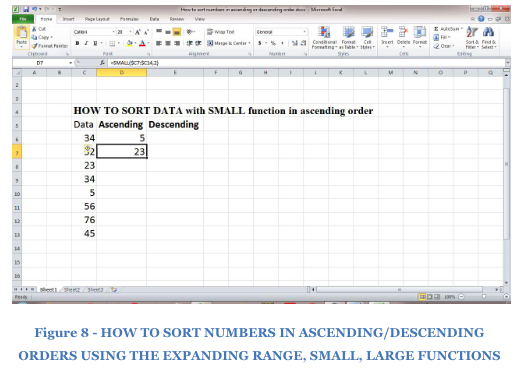 Like the SMALL function, the LARGE function extracts your “nth” value and arranges your values in “nth largest” or descending order. 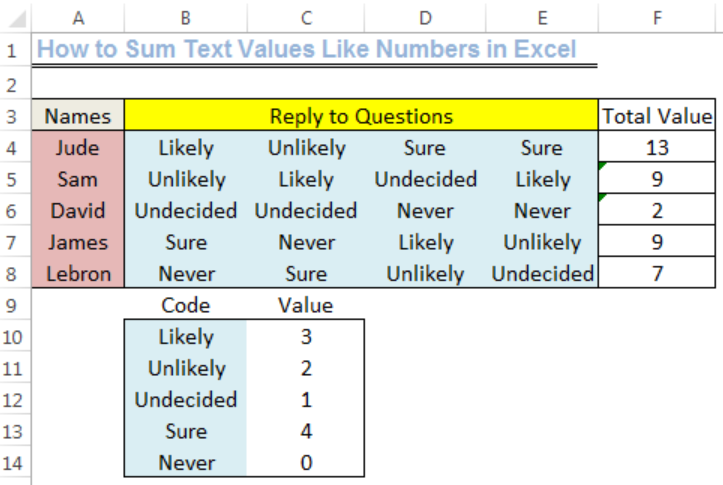 How to filter multi column like (TIME and ASCENDING or DESCENDING) in vba? 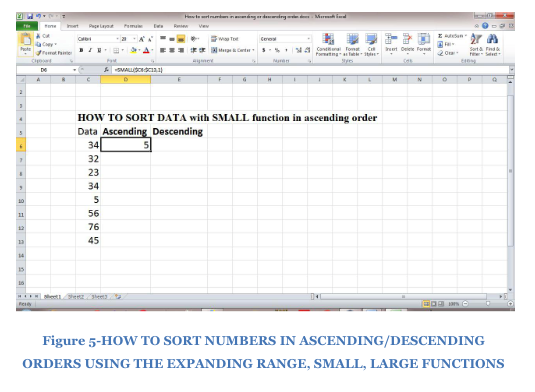 I have Mac Excel 2016. 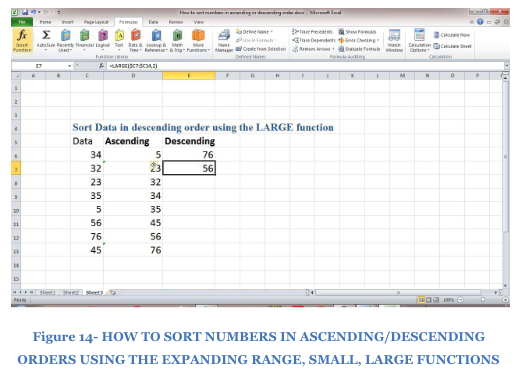 I need to sort a column in a way which is neither ascending nor descending, and it doesn't concern days of week or months. It won't let me create my own order in custom sort.